A shopper’s social media experience is roughly the same on a laptop as it is on a smartphone: a shopper scrolls her feed and pauses when she see an interesting post, whether it’s “sponsored” from a brand or a picture of her friend’s baby. Incidentally, her social media accounts are associated with the same unique identifier that ensures you can reach her on the platform through any device. Social media is so often a cross-device experience, and woven into nearly every person’s daily life. Nowadays, it’s considered among the three highest priorities for marketers to consider, given how frequently people engage with social media across multiple platforms [link to ebook landing page].. This equivalence of reach and experience across devices is one of the reasons social media is one of the three highest priorities [insert link to the ebook landing page] for marketers. It offers small businesses just as much opportunity to build meaningful connections with shoppers as big brands—with far less spend. 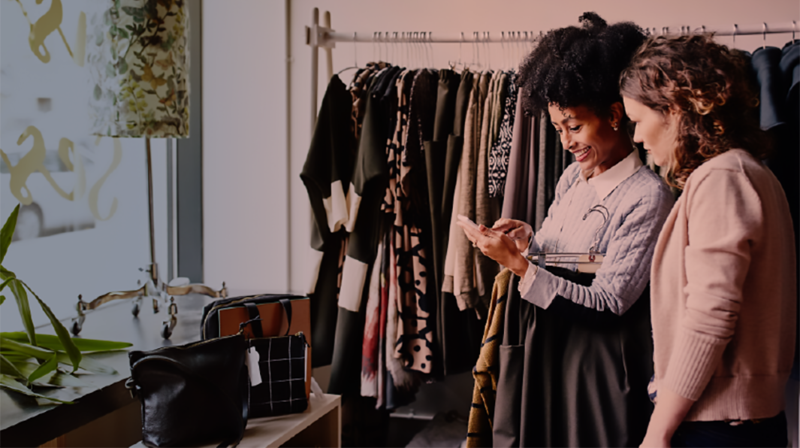 Get the full scoop on connecting with shoppers more efficiently with our Small Business Guide to Cross-Channel Marketing. Shares and comments, in particular, are considered “active” interactions, which Facebook considers more “meaningful” when slotting content on a user’s News Feed. For that reason, the company notes that video watch time, referral traffic, and organic reach might decrease this year if the content doesn’t doesn’t stir up a meaningful interaction. What that really means is that marketers have to start thinking about how to spend money strategically – on social, on mobile, and on web – to connect with customers. That’s why promoting your business seamlessly across channels is so important. It helps your customers along their journey more efficiently, prevents wasted ad dollars, and creates more opportunity for consistent communication. Here’s how to make your social ads an effective foundation for cross-channel marketing. Your goal as a small business is to get shoppers to pause as they scroll down their feed and consider what you have to offer. You can have fun with your social copy and offer up witty sentiments, but when it comes to what you actually sell, leave nothing to the imagination. Give shoppers clear, compelling visual information centered on your product. One of the best uses of your marketing budget is high-quality photography of your products. If you sell a service, highlight reviews from real-life, happy customers instead. Such expenditures are investments in your brand that deliver over time and across other channels. Most social media ads let you customize a call-to-action (CTA) button near the top or bottom of your ad. As one of the most important elements of your ad, it must tell shoppers exactly what they need to do to get the offer you’re promising. For ecommerce companies trying to get shoppers to visit a product page, some variation of “Shop Now” or “Buy Now” is common, but be sure to test different CTAs with the same creative to identify which one works best. It’s the only way to be sure your CTAs are doing their jobs effectively—an important practice on any marketing channel. Retargeting re-engages shoppers who’ve been to your site but may not have made a purchase. One of the reasons it drives sales so efficiently is it relies on this familiarity, no matter how light, between a shopper and your business. Traditionally, the most popular place retargeting would pop was in certain placements on news sites and other publications. Now it’s just as common to be retargeted in your Facebook feed, which makes it easy to reach shoppers across both mobile devices and laptops for marketers. And social media ads look just as good on a small mobile screen as they do on a big desktop, too. Retargeting might seem like a complex technology to introduce to your marketing, but all it requires is adding little strings of code to important areas of your site, like product pages. The technology does the rest. Your social ads are only as effective as your check-out pages. Especially on mobile. As of last holiday season, mobile devices generated nearly 50% of online purchases. That’s a marked shift from only a few years ago, when people used theirs phone primarily as shopping assistants, a way to quickly research a product, read reviews, or do price comparisons. Too often, though, shoppers get a frustrating mobile experience right when they’re about to buy. One of the biggest killers is site speed. Half of all mobile sites lose visitors because the site takes too long to load. Pages with huge image files and videos are one of the top factors that can slow your website down. Mobile optimization should be a priority, especially if you’re driving visitors from social media retargeting ads. 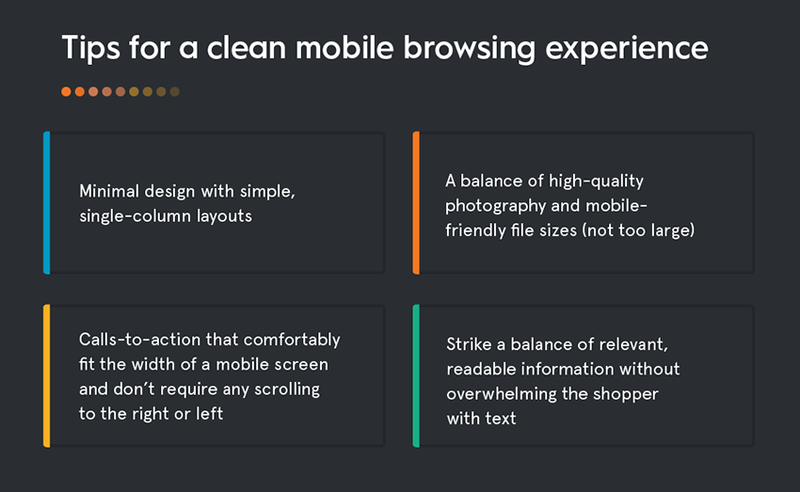 Making your site more mobile-friendly starts with understanding how it performs now and which specific areas you can improve. If you’re not sure how mobile-friendly your site is, you can always consult a few free tools to check site speed on different networks and overall mobile usability. With so much shopping activity consolidating on mobile devices, arguably the three most important channels in your marketing are a.) your mobile website and/or app, b.) email (still around, still the most effective), and c.) social ads. Creating seamless experiences across all three channels maximizes your ability to keep a new shopper who’s entered your orbit engaged enough for repeat business. And the more seamless these experiences are, the more streamlined your shopper’s attention will be. 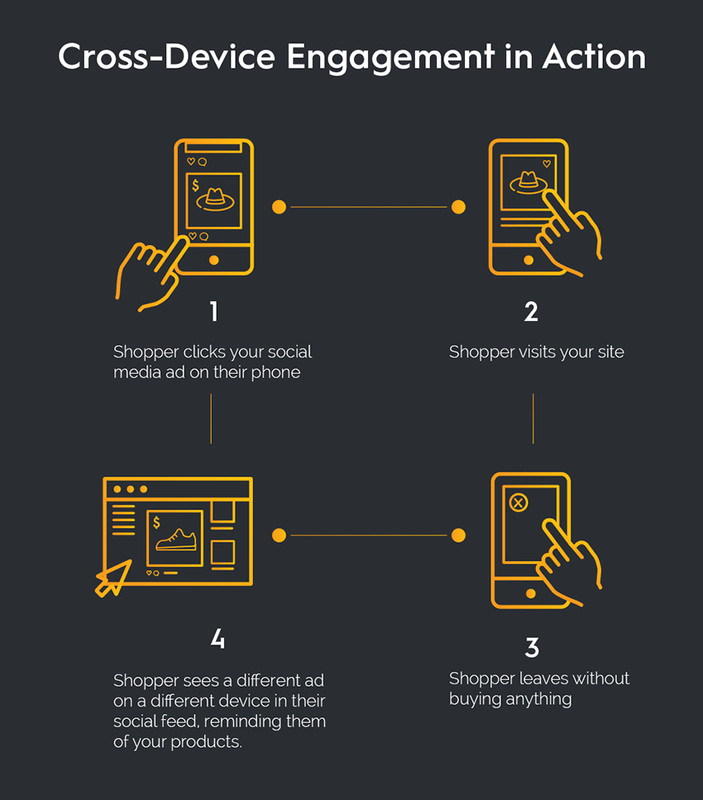 Want to learn more about connecting with shoppers, on any device, any time? 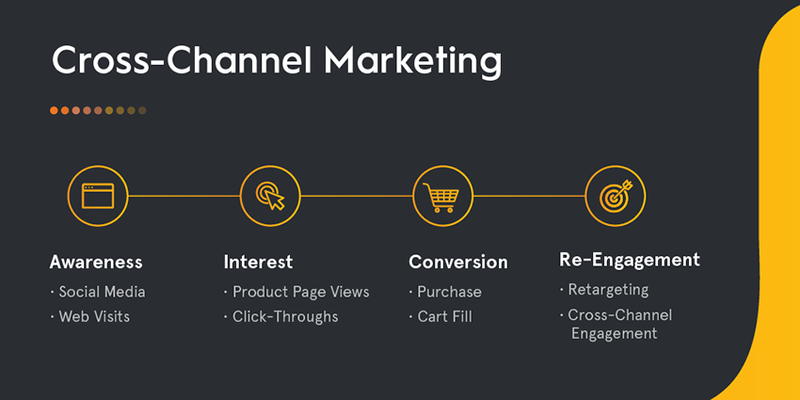 Download our Small Business Guide to Cross-Channel Marketing today.